Areas of the original regulations which had been identified as either vague or weak by the UK industry, have now been accepted within the ‘New F Gas Regulation’. This is of major importance to air conditioning and refrigeration companies and engineers as new requirements relating to leak checking, documentation and phase out dates of certain refrigerants are changing. This 3-day course is aimed at those who have obtained the CITB F Gas certificate and now need to update their certificate to the Level 2 City & Guilds 2079 or Level 3 Logic Certification versions. 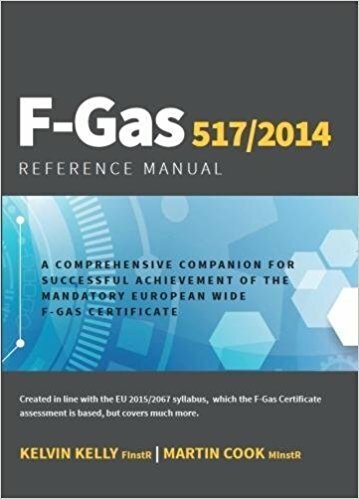 The course will cover changes to the original F Gas Regulation which came into effect in January 2015 and additional requirements required from January 2017. Note: Candidates attending this course will benefit from some practical revision prior to attempting the practical assessment. If your F Gas certificate is due to expire, you will need to renew the certificate before the expiry date to remain legally covered. Failure to upgrade within 12 months of the expiry date will result in the need to attend the whole course again. Anyone holding the CITB version of this course can renew the qualification through Logic Certification within 12 months of the expiry date of the original certificate. Failure to renew within this period will result in having to complete the full assessment again. Red Dragon Air Conditioning Ltd has established a purpose built Air Conditioning and Refrigeration Training Centre in Bridgend, South Wales.